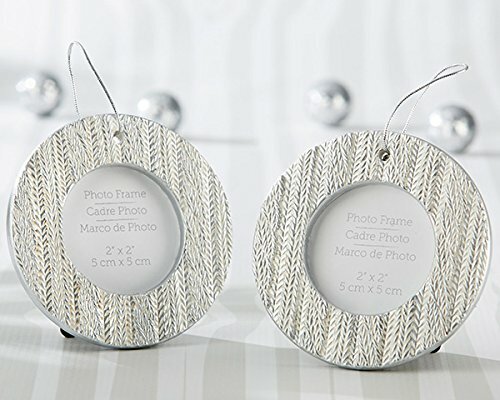 Give your place cards a unique presentation with our Cable Knit Ornament Place Card Holder! 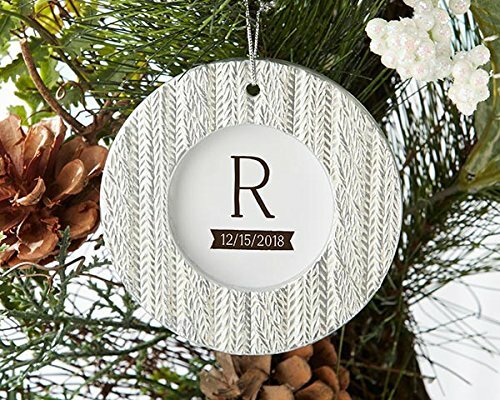 The Kate Aspen place card holder takes on the look of a hanging ornament, with a cable knit sweater pattern bordering the frame like area where place cards are displayed. A cozy winter wedding souvenir, lead guests to their seats effortlessly and memorably! Silver and white frame place card holder with cable knit border design. Small silver ribbon for hanging included. Measures 3.46"w x 5.23"h x 0.51"d, frame opening measures 2" x 2"